Not long after Don Cheadle who was being the next choice for replacing Will Smith's Deadshot in Suicide Squad 2, another Marvel star has now been named. Buzz is, that Idris Elba may just be moving from Marvel to DC in order to play Deadshot in Suicide Squad 2. Actor Will Smith recently announced that he will not be reprising his role in the sequel due to scheduling conflicts. According to Hollywood Reporter, Elba has already had a meeting with director James Gunn and the team at Warner Brothers suggesting that the actor may be on board. Gunn and Elba both have a Marvel connection. Gunn was fired by Disney from Guardians of the Galaxy franchise after his old tweets resurfaced online. Idris Elba's Thor/Avengers character Heimdall, on the other hand, was killed in Avengers: Infinity War. 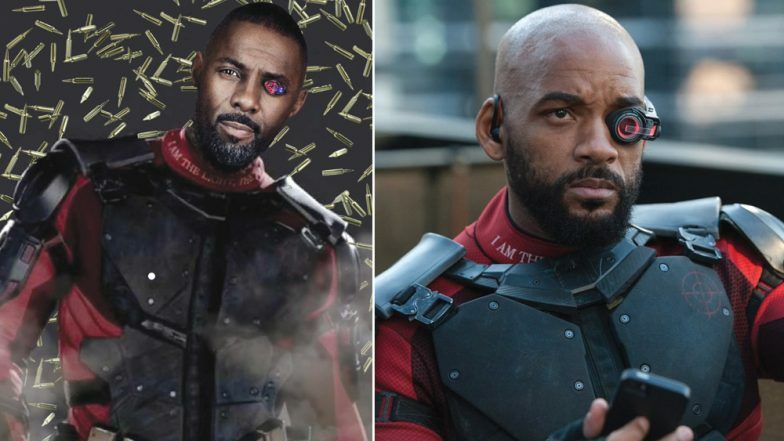 Will Smith Will Not Return As Deadshot for ‘Suicide Squad’ Sequel. With no confirmations yet, it has actually become comical of sorts that Idris Elba may just be the most sought after actor at the moment considering his name has been taken for every casting opening recently. Elba's name has surfaced for all the recent film castings from Green Lantern, Batman, James Bond and several others. Fans have been waiting to see Elba in the role of James Bond but the actor doesn't seem very keen on pursuing this opportunity as of now. But it looks like fans are equally thrilled to hear about his possible casting as Deadshot. Definitely would love @idriselba to be the next Deadshot. In the Marvel films, Idris Elba was first seen in the role Heimdall in 2011's Thor and then further continued with Thor: The Dark World, Avengers: Age of Ultron, Thor: Ragnarok, and last year's Avengers: Infinity War.